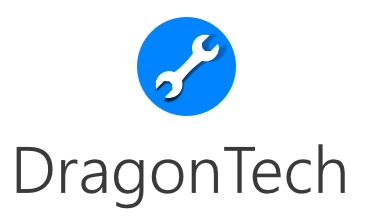 Today is DragonTech's 3rd birthday! 3 wonderful years of modded Minecraft, amazing people and amazing growth. If someone asked me 3 years ago that we'd get this far, I'd have said there's no way! So congratulations everyone and happy birthday to you, as this is your community, not mine. Arcana Technologies is a Magic and Technology modpack with a big focus on Economy. Arcana Technologies has been in the works for about 2 years now, since before Everlands was created, we decided to run Everlands over Arcana Tech due to that Everlands was more ready for release. Falizureswrath has been running the Arcana Tech beta modpack for the last 6 months and will run the server too (Mostly the mod side until he's learned all the server side stuff). The server will be in Beta for the first map, which may only last a few months in order to iron out the bugs and balance the economy. All current ranks (Including Donator ranks) will be the same on this new server (I will copy the database from Everlands). As some of you may know, our co-founder/ owner Magnusri hosts the current 2 servers from home, but for this server we will be renting a server (£83/ $105 £99/ $125 (previous amt was without VAT) a month). I have ordered it today, but depending on when we can have access, it shouldn't take any more than a few days to set up ready for you guys (bar any unforseen issues). If you're interested in joining the Beta please take part in forum discussions and discussions on our Discord group under #atbetadiscussion. I will make a new post once Arcana Tech is ready to be released with further, detailed information. Until then please join the Discord to keep updated. In celebration of our Birthday, everyone will recieve $5 off any donator rank purchases! (Please PM me BEFORE purchasing a rank to get your voucher). If you have any questions please use our Discord or PM myself or falizureswrath.